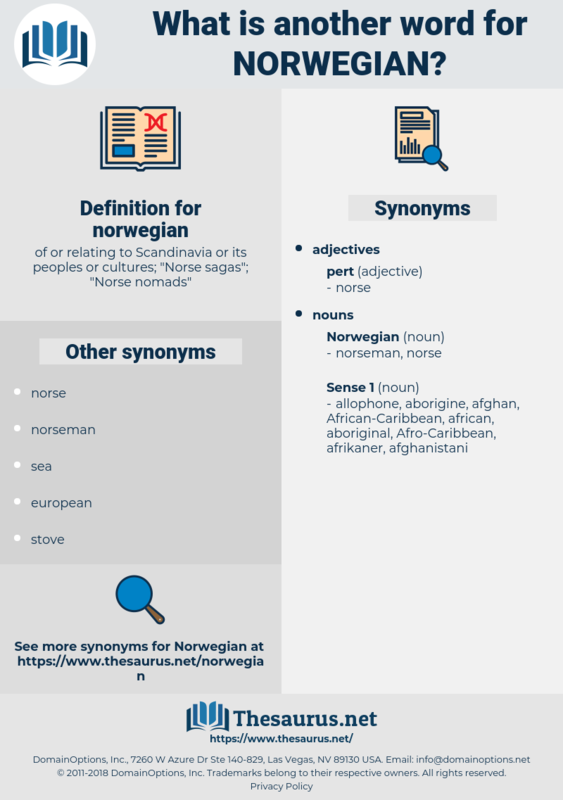 What is another word for norwegian? of or relating to Scandinavia or its peoples or cultures; " Norse sagas"; " Norse nomads"
Good, said the Norwegian; deal to learn up there, sir. Attack of British warships on German ship Paklas in Norwegian waters. landsmal, bokmal, New Norwegian, landsmaal, dano-norwegian, nynorsk, bokmaal. Scandinavian Language, North Germanic, norse, scandinavian, nordic, North Germanic Language.